Your smartphone autocorrects while you text, search engines autocomplete queries, and mapping applications redirect navigation in real-time to avoid slowed traffic. These ubiquitous AI-based technologies adapt to everyday needs and learn user habits by focusing on making the algorithm better, but Army researchers want to enhance AI by providing more information about the intent of the user. 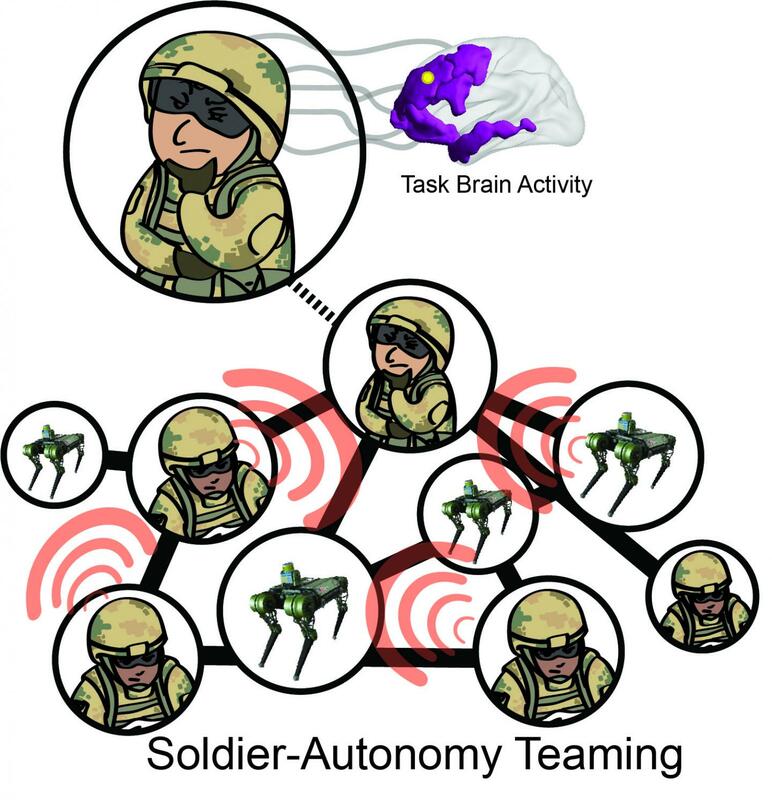 New research looks at soldier brain activity during specific tasks for ways to incorporate AI teaming to dynamically complete tasks. The Army envisions a future battlefield wrought with teams of Soldiers and autonomous systems, and as part of this future vision, the Army is looking to create technologies that can predict states and behaviors of the individual to create a more optimized team, said Dr. Jean Vettel, a senior neuroscientist at the Combat Capabilities Development Command Army Research Laboratory, the Army’s corporate research laboratory also known as ARL. Recent collaborative work between ARL and the University at Buffalo is looking at ways the dynamics and architecture of the human brain may be coordinated to predict such behaviors and consequently optimize team performance. “While this research focuses on a single person, the purpose is to understand how an individual’s brain activity can be used to create novel strategies for a teaming environment, both for teams with Soldiers as well as teams with Autonomy,” said Vettel, a co-author of the recent paper. To achieve this future capability, the researchers first sought to understand how the brain coordinates its different regions while executing a particular task. They used a computational approach to understand how this may be characterized to inform the behavioral prediction. Next, the scientists converted these maps into computational models of each subject’s brain and used computers to simulate what would happen when a single region of a person’s brain was stimulated. The researchers then used a mathematical framework, which they developed, to measure how brain activity became synchronized across various cognitive systems in the simulations. While Dr. Bansal points out the foundational principles of brain coordination this research describes, the method described in the work could potentially be extended outside the brain, as well, creating dynamic teaming assignments in the future.